The 1930’s through the early 1960’s is considered the Golden Age of Hollywood filmmaking and rightly so. However, for movies coming out of Great Britain during that same period, not so much. It must be said, though, that this would be a mistake. As opposed to being a period severely lagging behind what Hollywood was producing at the time, the evidence reveals quite the opposite. As mentioned in a post on this site published back in August of last year entitled “Not So Stiff Upper Lip-Ten Visually Arresting British Films”, there was a period unofficially known as the “golden age” of British cinema that lasted from approximately 1934 to 1955. What did that period include? Try such well-known and loved gems as Hitchcock’s original “The Man Who Knew Too Much”, followed by “The 39 Steps”, and “The Lady Vanishes”; the works of Michael Powell and Emeric Pressburger such as the stunning “A Matter of Life and Death” along with the brilliant “Black Narcissus” and “The Red Shoes”; and the masterful films of David Lean during the period, such as “Brief Encounter”, “Great Expectations”, “Oliver Twist”, and “Hobson’s Choice”. But that’s not all. There were also the great films of Carol Reed, such as “Odd Man Out” and “The Third Man”, the towering version of “Hamlet” starring and directed by Laurence Olivier, the exciting Gainsborough Studios melodramas of the ’40’s starring James Mason and others, such as “The Man in Grey” and “The Wicked Lady”, and the wonderful Ealing Studios comedies that ran from the late 40’s to the early ’50’s, with gems such as “The Man in the White Suit”, “The Lavender Hill Mob”, and “The Ladykillers” among others, all making for a truly rich and varied period of British moviemaking, creating classics that have stood the test of time. ( 1) They Drive By Night (1938) Not the better-known George Raft/Humphrey Bogart melodrama, but a knockout thriller in the Hitchcockian mode, it is the story of an ex-con just released from prison who finds himself the prime suspect for a murder he didn’t commit. Where it goes from there makes for a taut, riveting tale, with great cinematography of windswept streets and urban gloom and doom, along with a scene-stealing performance by Ernest Thesiger of “The Bride of Frankenstein” fame as an urbane older gentleman with a very dark secret. A must-see and not to be missed. 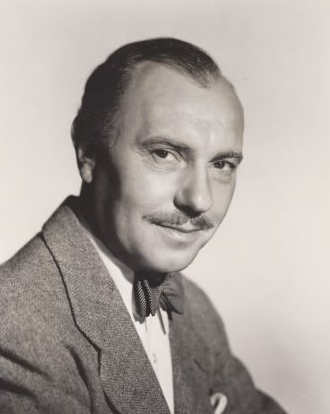 (2) On the Night of the Fire (1939) The performance of Ralph Richardson (pictured above, right), one of the best actors of the 20th century, takes this little-seen gem to another level. The story of a humble barber who commits a petty theft and then becomes embroiled in blackmail and murder, it is a powerful drama with an unforgettable performance by Richardson, along with Diana Wynward as his wife who suffers because of his guilt, and is filled with haunting black and white imagery that adds to the intensely moody atmosphere. A winner that deserves to be better known. 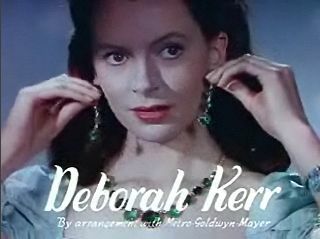 (3) Love on the Dole (1941) A beautifully acted, well-crafted tale of life among the poor and unemployed in London during the Depression, it features Deborah Kerr (pictured above) in her third film and first starring role as the daughter of a struggling London family who decides to pull herself out of the mire of poverty but at great cost socially to herself and her family. A grim, realistic depiction of the period, unusual for the time, its powerful depiction of slum life and the working poor can still resonate today. An excellent film well worth seeking out. (4) So Long at the Fair (1950) Perhaps a little better known than the other movies mentioned thus far but still not as well-known as it could or should be, this is an absorbing thriller built around an oft-repeated premise-What if what we thought existed never really did? This is the situation that Jean Simmons is thrown into as she searches for her brother who mysteriously vanishes during the 1889 Paris Exposition, or “the Fair”, that she attends with him but once he disappears is told by almost everyone that he was never there and no evidence of him is found. 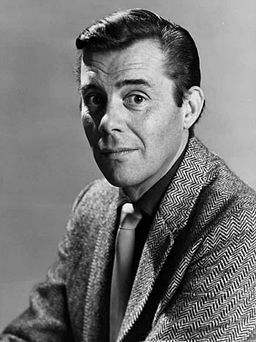 With the help of a sympathetic listener played by Dirk Bogarde (pictured above) who may or may not be what he seems, she eventually comes to realize the chilling truth. With a wonderful turn by actress Cathleen Nesbitt as the most sinister hotel owner you would ever not want to meet, this is a nerve-wrackingly suspenseful tale which will keep you guessing to the very end. Excellent performances and another must-see. (5) Ice Cold in Alex (1958) Once again, perhaps better known than the first three mentioned but still criminally underseen, this is the thoroughly engrossing story of a group of army personnel and nurses attempting a dangerous trek across the deserts of North Africa during the second world war. 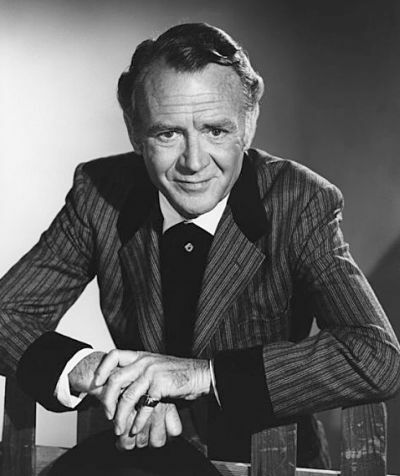 The commander, played by John Mills (pictured above) is determined to get through despite minefields and the presence of a German spy. An exciting desert adventure with plenty of suspenseful sequences, it also benefits from fine performances by Mills, Anthony Quayle, and Sylvia Syms. Directed by J. Lee Thompson, who went on to direct the far better-known World War II adventure “The Guns of Navarone in 1961, this movie could even be considered a notch above that one and is deserving of far greater recognition. Oh, and about that title-the ending explains it all and makes a great movie unforgettable. (1) On Approval (1943) Actor Clive Brook of “Cavalcade” and “Shanghai Express” fame directed, co-wrote, produced and stars (!) in this comedy and it is a hilarious delight. Two wealthy widows who are being courted by two poor aristocrats decide to give them a trial run for marriage, with unexpected results. The lines come fast and furious in this very funny comedy, filled with sparkling wit and excellent performances. Great fun and not to be missed. (2) Sapphire (1959) Basil Dearden is a somewhat underrated British director of the 1940’s and ’50’s who, although not on the level of a David Lean or Carol Reed, made some very fine films particularly in the postwar era, such as “The Captive Heart”, “Saraband”, “Frieda”, “The Blue Lamp”, “Pool of London”, and “The League of Gentlemen”. “Sapphire”, though less-known than some of his other films, is one of his best. A penetrating study of racial politics at the time as well as a murder mystery, it follows two detectives investigating the murder of a pregnant girl, who, though initially assumed to be white, is found to be of mixed heritage, exposing the prejudices of the officers and those they are investigating. Superbly acted and directed, this movie begs for discovery and will be rewarding viewing for any who find it. Hopefully this provides some idea of the quality coming from across the Atlantic at that time that any classic movie fan of today would not fail to enjoy. So see these if you can and you will have made a trip ‘across the pond’ that costs little but provides a cinematic treasure in return. This entry was posted in classic movies, Uncategorized and tagged 1940's cinema, 1950's cinema, Alfred Hitchcock, basil dearden, british films, carol reed, classic cinema, david lean, deborah kerr, dirk bogarde, ealing studios, j. lee thompson, jean simmons, old movies, ralph richardson, war movies. Bookmark the permalink.